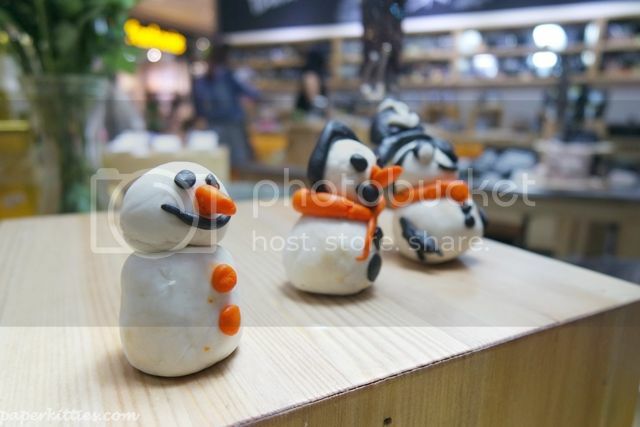 With only 40 more sleeps left to my favorite holiday season, you can expect loads of Christmas-related post coming your way~ Thanks to Amanda, I had the awesome opportunity to take a look at Lush 2014 Christmas Collection and made my very own soap snowman! I’ve never know much about #greenbeauty until I studied in Australia and had the joy of trying out loads of organic products they have to offer. 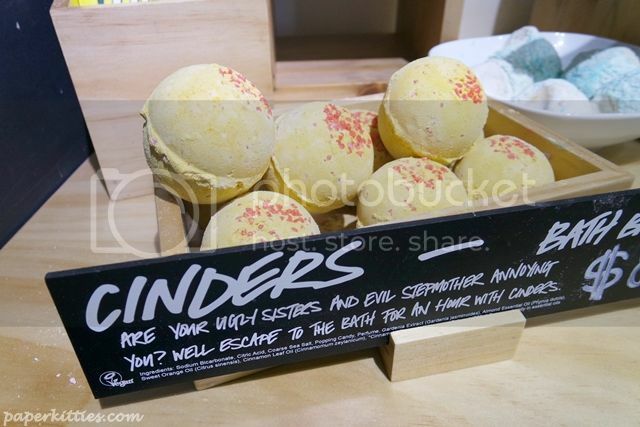 One of them were none other than Lush and it was always a joy entering their shop to try out new goodies; and when my SQ gf is in town, I’ll never fail to buy a bath bomb to soak in her Hilton hotel’s bathtub. Hees, those were the days! 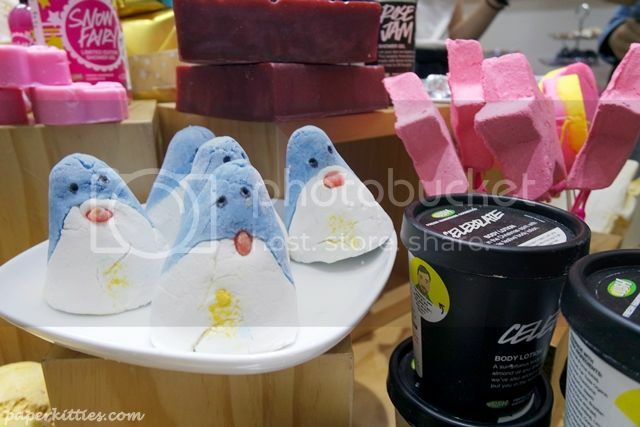 Inspired from the blue Philip Island’s penguins in Australia, this cutesy bubble bar is bound to uplift your senses. A beautiful blend of orange flower absolute, Sicilian mandarin and lemon oils to revive and refresh your mind and skin. 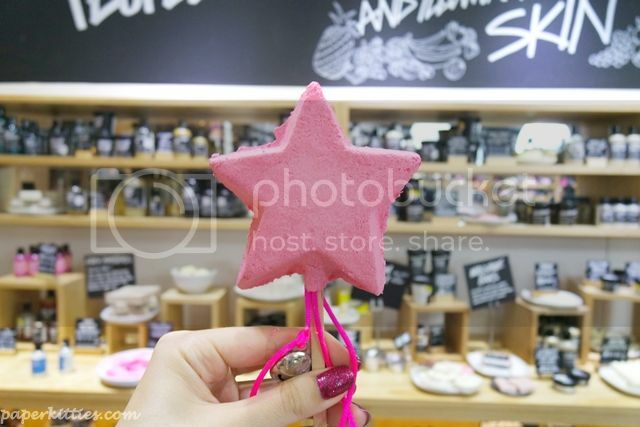 For the fairy princesses to be, wave your candy sweet magic wand over bath time with this re-usable bubble bar. Swish it around your bath or hold under running water for Snow Fairy-scented bubbles, then pop it on the side to dry out for next time. Don’t forget to make a wish! 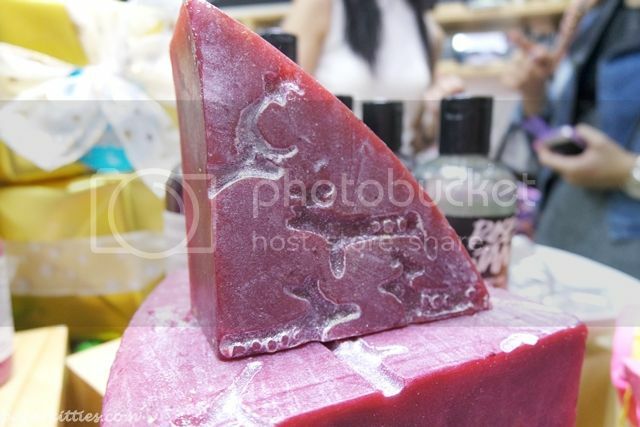 This reindeer-embossed soap was my favorite Christmas soap bar of the lot! Think berrylicious treat from a beautiful concotion of dried lingonberry infusion, bergamot oil fuses and toning cypress to leave you feeling refreshed, comforted from the hustle and bustle of year end festivities. 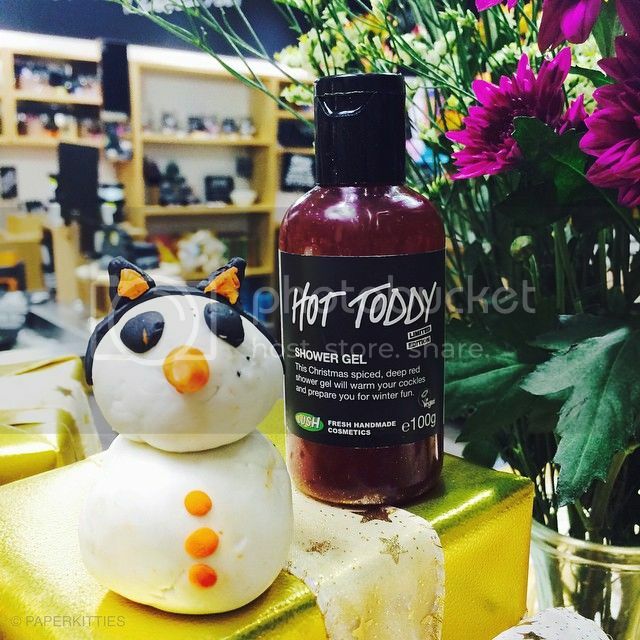 It was either or miss amongst the beauty bloggers but I really like Hot Toddy Shower Gel because it reminds me of Christmas! Laced with softening seaweed, fresh ginger, cinnamon leaf oil and cleansing lemon oil, this will warm up even the chilliest of days. Still raving on warm spicy scent, you will also like Holly Go Lightly for its festive spice fragrance, perfect for getting you in the Christmas spirit. No Christmas collection is complete without jolly old santa. 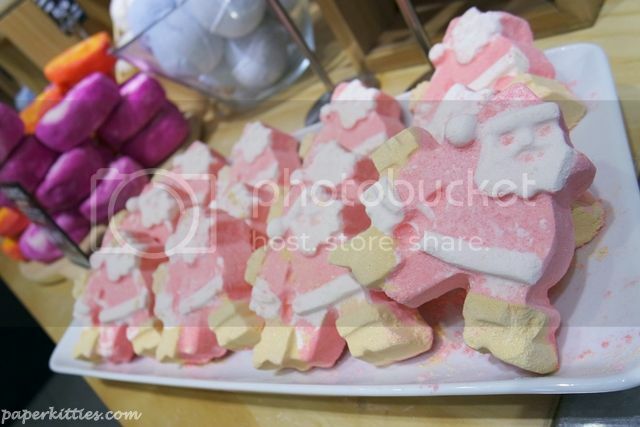 This Dashing Santa Bath Bomb is claimed to fly around the tub, dashing to and fro with its uplifting scent of satsumas. His golden boots fizz away quickly, releasing toning mandarin oil, bergamot oil and orange flower – perfect for awakening your senses! A lime and ginger-scented bath filled with extra virgin coconut oil and organic shea butter fondant centre. 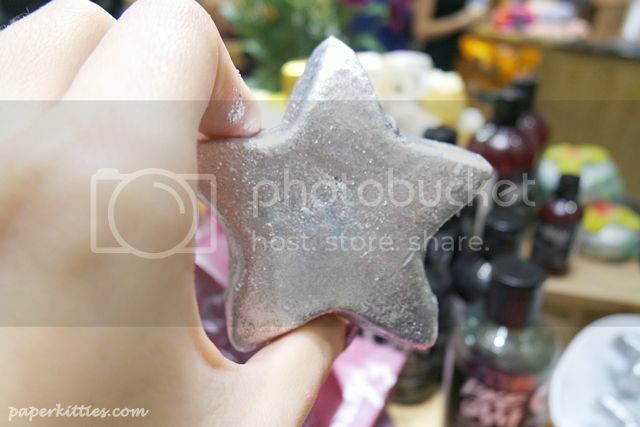 The silvery sparkle will create a magical, shimmering trail of starlight in your bathtub filled with zesty ginger, lavender and lime oil fragrance to inspire imagination and positivity. Bet you didn’t know that the glitter in all Lush products are are made with safe and natural ingredients that will not stick to your tub and your body! If you have a thing for bear bear like my sister, I would recommend this sweet-smelling Butterball bath bomb that contains cocoa butter that is great for nourishing and protecting your skin! The highlight of my night was definitely this super duper fun snowman making session we had! Let your imagination run wild as you build your very own snowman with Lush’s festive Fun kit. When you’re done with your masterpiece, you can then use it as a bubble bar, soap or shampoo. *squeals* This makes the perfect gift for all the kids and young-at-heart I reckon! Fun Fact: Lush products are 100% vegetarian, while 83% are vegan. In addition, all products are made with fresh, ethically sourced ingredients, and never tested on animals. 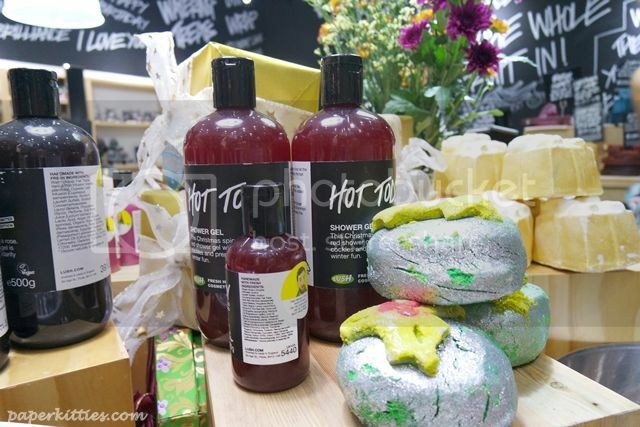 Time for more guilt-free shopping at Lush, the Christmas Collection is now available islandwide!